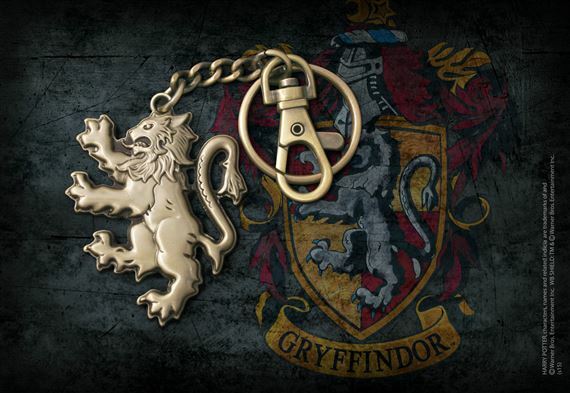 Keep your keys on your favorite house key chain, Gryffindor. This authentic licensed key chain is made of die-cast metal and comes complete with key ring and a lobster claw clasp. The key chain measures 5 inches long, including the chain.